Dr. Kroll aims for natural results, not wishing to change a patient’s looks, but rather seeking to restore and soften their appearance. There is nothing that could give you a more tired, sad or aged appearance than your eyes. And there is no reason to look older than you have to. Eyelid “bags”, or prolapsed fat, that appear under the eyes over time, are one of the most common reasons patients seek cosmetic consultation. Dr. Kroll can recontour and refresh your eyes through a procedure known as blepharoplasty or, to put it in simpler terms, an eyelid lift. Dr. Kroll will meet with you regarding your eyelid aesthetic concerns and she will discuss with you all options—both surgical and non-surgical. If surgical blepharoplasty is recommended, she creates carefully placed skin incisions in the upper eyelids to address excess skin and any fat bulges. 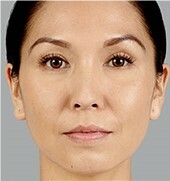 The lower eyelids can be addressed by modifying the contour of bulging fat and tightening loose skin and muscle with various techniques. 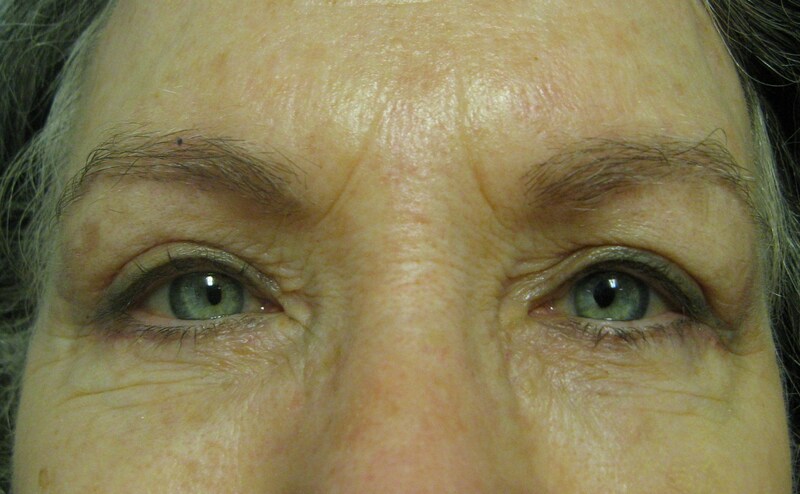 As an eyelid specialist, Dr. Kroll can use one of many techniques to improve the aesthetics of the lower eyelids. 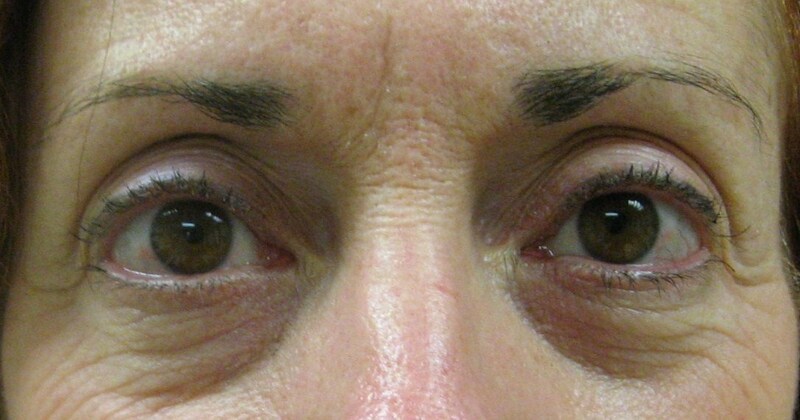 She performs procedures from the back of the lower eyelid (transconjunctival blepharoplasty), or through carefully hidden incisions (transcutaneous techniques), or to use the bulging fat to fill the hollows beneath it (fat transposition techniques). What’s most important, Dr. Kroll will customize her approach to your unique facial anatomy and level of skin elasticity aiming for the softest, most natural appearance possible. In male patients, she uses her expertise to maintain a “rugged” masculine appearance and knows that men and women need different approaches to eyelid surgery. 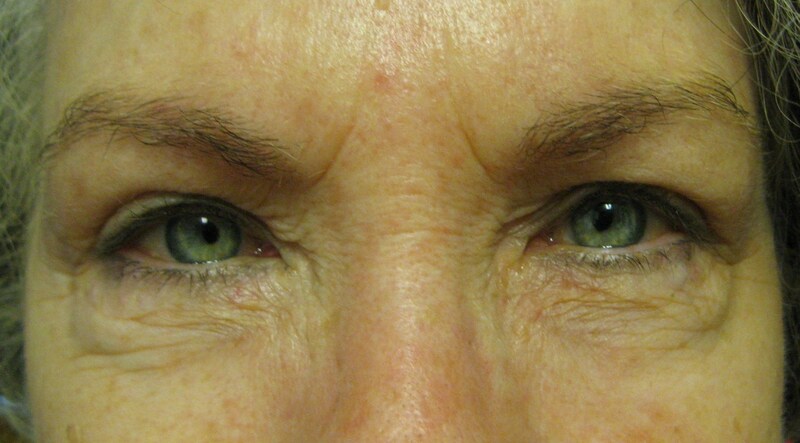 Hollowing under the eyes, a classic, telltale sign of aging, is known as “tear trough deformity”. 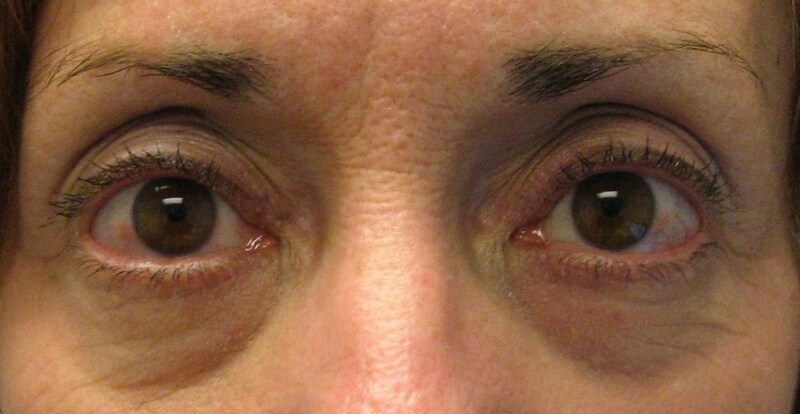 It may be reduced with a non-surgical blepharoplasty technique with filler, such as Restylane® to improve the contour of the under eye area. Upon examination, Dr. Kroll will decide if you are a good candidate for this procedure. Your face is the most expressive part of your body. Every time your face moves, be it with a smile, a frown or a look of surprise, it contributes to the creation of a crease or wrinkle that multiplies and intensifies with time. Botox® and Dysport® are FDA-approved treatments which are sought after by millions of men and women for good reason. They are non-surgical minimally invasive treatments and are proven to be very effective at reducing those “frown” lines between the eyebrows. Forehead wrinkles and crow’s feet around the eyes, as well as other areas may be treated. Because the facial muscles are very active, Dr. Kroll’s approach is to relax, or in her terms, “neuromodulate” the areas affected, aiming for the most natural appearance possible. She treats with a light and gentle hand working meticulously with her patients to reach their aesthetic goals. She avoids overtreating or “freezing” these areas and avoids the “Mr. Spock” look with oddly angled eyebrows. Since Dr. Kroll is a facial aesthetics expert, fellowship trained and double-board certified, she intimately knows the anatomy in these areas to decrease risk and to achieve the highest patient satisfaction. Many patients cannot believe how comfortable they are during this treatment. Results typically last 3-4 months. There is nothing more attractive and endearing than a smile. But, over time, those smiles turn into “smile lines”, or nasolabial folds, creases of skin that run from the corners of the nose to the corners of the mouth. As we mature, our faces may gain character, but they lose contour. Juvederm®, Restylane® and Perlane®, FDA-approved dermal fillers, are specifically created to soften those smile lines. They are smooth consistency gels made of a naturally occurring substance in the skin called hyaluronic acid. After Dr. Kroll skillfully applies it under the skin, volume will be restored for a more supple, youthful appearance. Hollow areas, cheeks, temples and scars on the face, may be treated off-label. Results are typically seen right away and last up to 6-12 months. 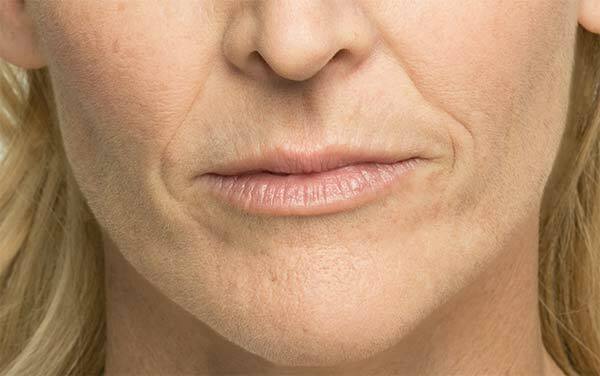 If your lips are naturally on the thinner side, or if your once full, shapely lips seem to have “deflated” with time, there is indeed a way to restore them to their former, more youthful appeal. 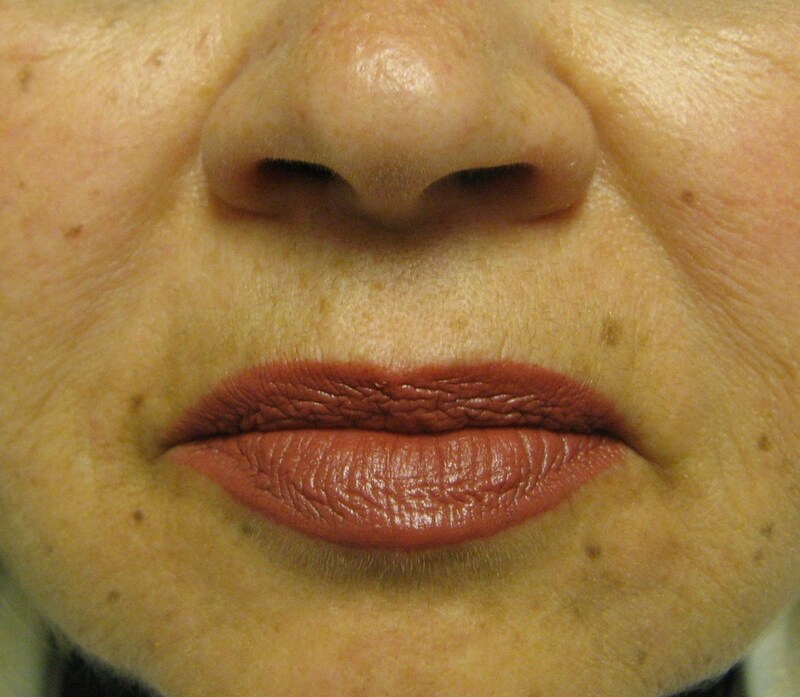 If you’d love your lips to once again have a fuller, more voluptuous appearance consider having Dr. Kroll help you to achieve this. She uses modern techniques with hyaluronic acid gels such as Juvederm® and Restylane® to plump the natural lip pillows without the obvious “trout pout” appearance that is often seen. Let your friends and acquaintances wonder why you are looking so terrific. Read more about Restylane around the eyes. 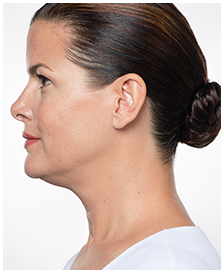 Kybella® is an FDA approved minimally invasive technique to treat excess fat under the chin (submental fat). 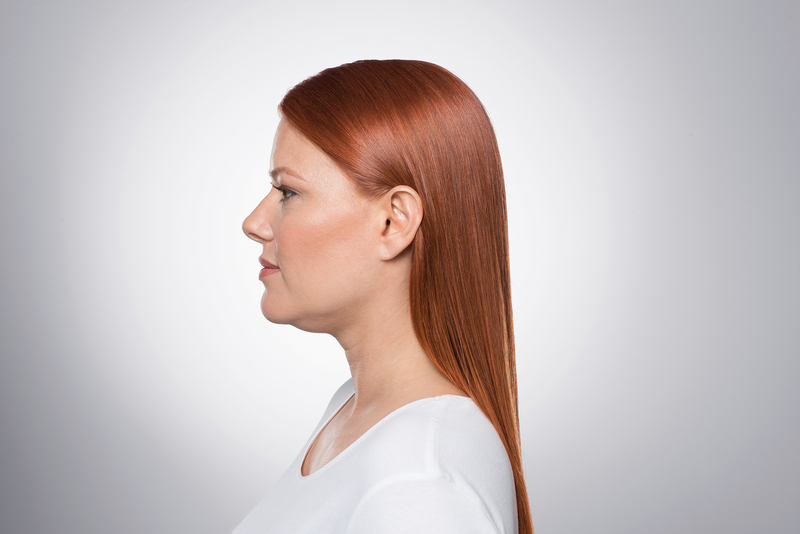 Kybella® also can help to re-contour this area to make it appear more youthful with less downtime than surgery. Usually, two sessions spaced 6-8 weeks apart are recommended. Voluma® is an FDA approved hyaluronic acid based filler designed to lift and contour the cheek area and give you those gorgeous cheekbones you’ve always wanted. 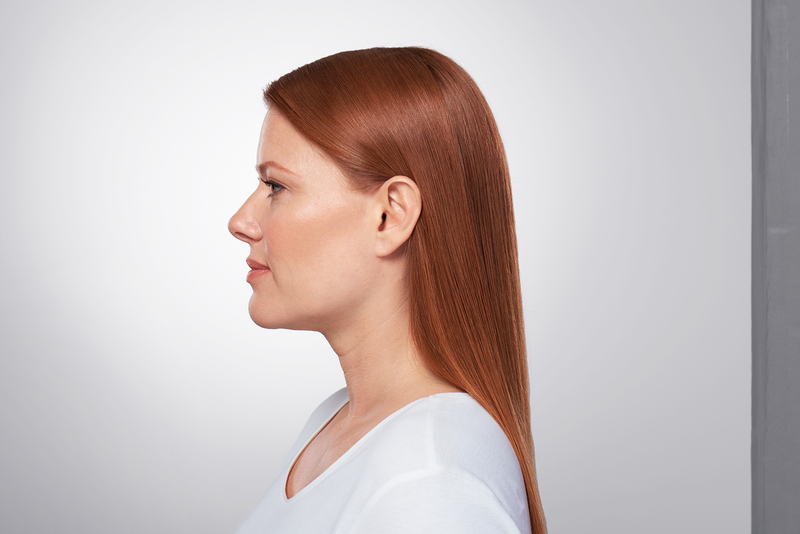 Voluma® is performed in the office and it can last up to two years. Belotero® is an FDA approved hyaluronic acid based filler designed for superficial fine lines, for example, vertical lip lines that can give away into one’s chronologic age and make it difficult to wear lipstick. This Pellevé® system is truly revolutionary. It precisely heats the deep layers of the skin without damaging the top layer. The heat causes your collagen to contract and tighten, causing the skin to produce new collagen, improving its firmness. The result is a naturally fresher looking you. Unlike other skin tightening treatments, Pellevé® doesn’t require anesthesia or skin cooling, so you can return to home or work right after treatment. A full facial treatment takes less than an hour, and you could actually start to see results almost immediately. 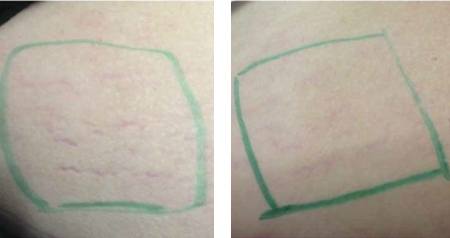 The recommended treatment regimen is three treatments spaced one month apart, with a touch up in about 8 months. Ask Dr. Kroll if Pellevé® is the right treatment for your needs. Microneedling is a painless procedure to stimulate collagen and elastin growth revealing a smoother and younger appearance. In the past, dermal rollers have been used and now there are more state of the art devices such as the Eclipse Micropen Elite which allow for a more precise and quicker treatment. Microneedling is used for wrinkles, pigmentation, scarring and can be used in all skin types. This procedure is minimally invasive and there is a fast recovery. 3-6 treatments are recommended about one month apart. 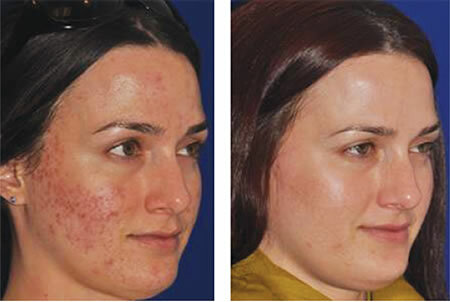 Various serums can be applied during treatment such as hyaluronic acid, growth factors and PRP (Platelet Rich Plasma). PRP harnesses the energy of the patient’s own growth factors and other healing agents derived from a small amount of purified blood. Hyaluronidase is an enzyme that is used to dissolve unwanted lumps or swelling caused by hyaluronic acid gel filler. There has been a huge increase in the use of dermal fillers for minimally invasive facial rejuvenation over the past decade. Hyaluronidase is a great option if you have received a suboptimal aesthetic result from fillers. Dr. Kroll is experienced in facial anatomy and the properties of these hyaluronic acid fillers. She has developed a following for this treatment and enjoys restoring the confidence of these patients. Fine lines. Sun damage. Environmental assault. Pigmentary changes over time. It happens to us all. Fortunately, a superficial peel can go a long way to rejuvenate and restore affected skin of all types and colors. Dr. Kroll recommends a series of these glycolic acid peels with skin brightening agents. The recovery is rapid with little to no downtime. Some redness and other discomfort may occur immediately following the peel with minimal flaking and/or peeling may occur several days afterwards. Following a consultation with Dr. Kroll, a series of 3 to 6 peels approximately every 2 weeks is recommended. Improvement in skin tone and texture may be visible following one peel, but more pronounced results require 3 to 6 peels. If you are noticing significant wrinkles, irregular skin texture, age or sun spots or loose, sagging skin, this treatment is certainly one to consider. Fraxel re:pair® is an FDA-approved treatment designed specifically for fractional resurfacing of the eye area and face. It works by stimulating new collagen and elastin production. Dr. Kroll will provide a thorough assessment of whether this treatment is best for your needs. Sculptra, (Poly-L-lactic acid) is an FDA-approved material used for the restoration and correction of facial volume loss in people with human immunodeficiency virus and more recently for aesthetic use. It is a biocompatible, biodegradable material that has been widely used for many years in dissolvable stitches and soft tissue implants. Dr. Kroll deftly applies Sculptra beneath the surface of the skin in areas of fat loss, increasing skin thickness, rebuilding collagen, and restoring lost volume. For full correction, multiple treatments may be needed, but the benefits can last as long as two years. 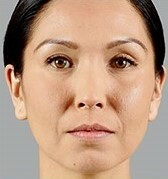 As we age, eyebrows can descend, occasionally causing drooping of the eyelids. This can make you look tired, even angry. It doesn’t have to be that way. Dr. Kroll can lift the brows, either through a hidden eyelid incision or endoscopically. The brow position will be restored, giving your face the more vibrant, pleasant look it had years ago. Once skin tags occur, they have a habit of growing and sometimes multiplying. There is no reason to go on feeling self-conscious when the solution is so simple. Dr. Kroll is adept at excising these on the face or around the eyes with either radiofrequency energy or traditional methods. She can do this for you in the comfort of her office. It happens over time. Fine vessels just under the skin on the nose and face become more prominent and more noticeable. Rather than feeling uncomfortable about unsightly, superficial vessels, Dr. Kroll can treat these during an office visit with radiofrequency energy.